Our clinic is a physician-led and supervised full-service medical cosmetic clinic located in the town of Richmond Hill, Ontario. We are proud to offer cosmetic procedures using the best resources and equipment available in the industry. At our clinic we strongly believe that the Knowledge and Experience we possess, together with the ability of our patients to make Educated Choices, are the key components for achieving the best Results. We also believe that beauty goes hand-in-hand with health. That's why we carefully select our products and equipment and work on individual packages- to ensure your health is paramount in the cosmetic procedures performed at our clinic. Our state-of-the-art laser system is considered a gold standard for laser and light treatments. It has been clinically tested and delivers the best results with minimal discomfort. Below is the short list of procedures available at our clinic. Please feel free to browse around. If you feel you need to talk to us about your condition you can book your consultation with our staff in the Appointments section. BOTOX® injections are one of the most popular cosmetic treatments performed worldwide. BOTOX® injections performed by qualified medical practitioner is a quick and easy procedure that gained tremendous popularity at Dr. Robertus Laser & Cosmetic Clinic. To learn more about how Dr. Robertus Laser & Cosmetic Clinic can help to freshen your look with BOTOX® Cosmetics injections please click here. Wrinkle release can be done on the face and neck. This procedure works better on deep wrinkles and folds like nasolabial folds, marionette line and frown lines. Dr. Robertus will choose which type of filler is best suited to your individual needs. 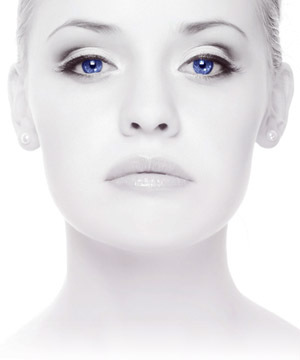 Read more about dermal fillers.